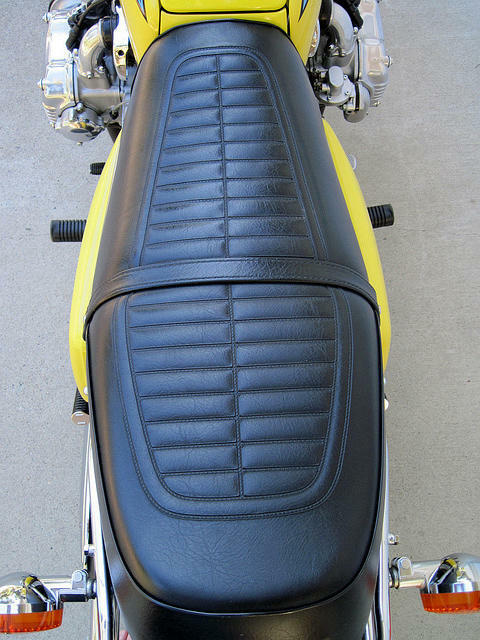 GoldWing Seat Identification and Compatibility - 1975-1984 - NGWClub®, Inc. It seems that the questions, "What year is this seat?" or "Will this seat fit my .... ?" come up as much as oil and tire questions. 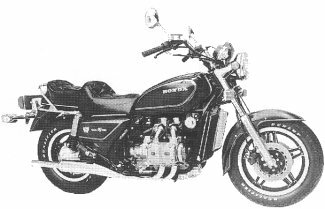 So, I thought it would be helpful to put together a photo display of every factory correct GoldWing seat from 1975 to 1984 (the naked years) for the purpose of identification and year-to-year compatibility. All of the photos you see below were generously provided by members or shamelessly grabbed by myself from various threads, other forums or eBay postings. Before finalizing this tutorial, I asked various gurus to review it for errors so I could have a consensus as to it's accuracy. If you have anything to add in the way of upgrades, corrections, additional or better quality photos or any other constructive advice, I'd be happy to receive it. Please PM or contact me at guyjulie@pacbell.net. Because there's still missing data in the '82 through '84 seat colors, I'm especially interested in completing that section. As stated, all 1975 through 1977 seat pans are identical. To be more specific, all 1975 though 1979 seat pans are identical and can be used to rebuild a seat from any of those years. 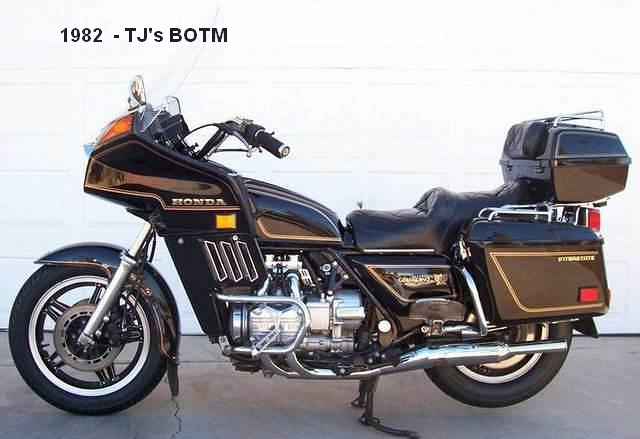 Any 1975 through 1979 seat will bolt on to, and fit, any 1975 through 1979 GoldWing. The 1976 LTD and 1977 GL's shared the identical seat although, with two minor differences. 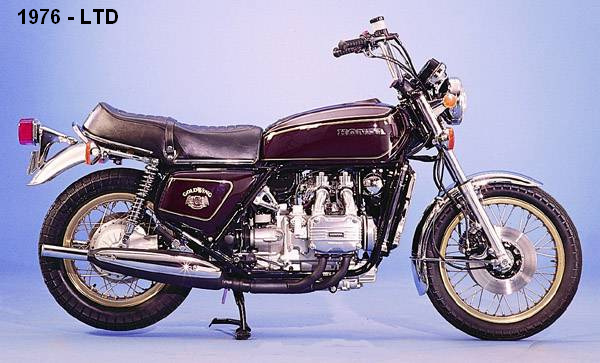 First - even though there were virtually no visible design changes between the seats, they had different part numbers i.e., the LTD's ended in 980 while the 1977 ended in 660. Second - (and the most plausible reason for the part number difference) was the quality of chrome plating on the LTD's seat strap buckle. "As with most chrome parts on LTD's, there would have been a better application of plating. I believe that the typical flash plating on many GL chrome parts was not what the Japanese would have intended for the LTD. 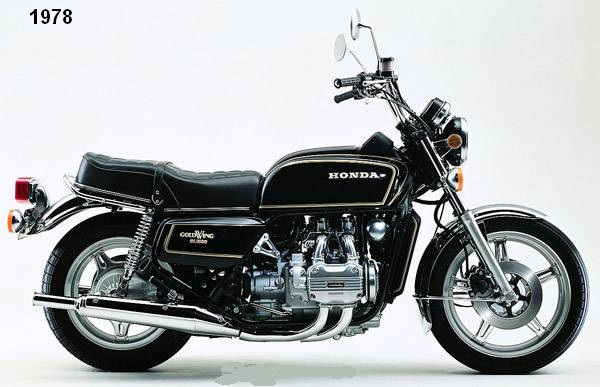 Exactly how much better the production methods were was known only to the folks at Honda. I expect that it would have been at least one base plating process in addition to a flash coat." So, other than the part numbers and additional attention to plating, the seats shared the same design, faux 'stitch' pattern, straps, buckle 'style', trim and pan. The only color they came in was black. Because they were virtually the same seat, there is no way to visually differentiate a 1976 LTD from a 1977 seat other than the quality of the chrome on the buckle which, after almost 40 years, might be difficult to detect. If you purchased a used 1977 seat and put in on your 1976 LTD, it could still be considered 'factory correct'. 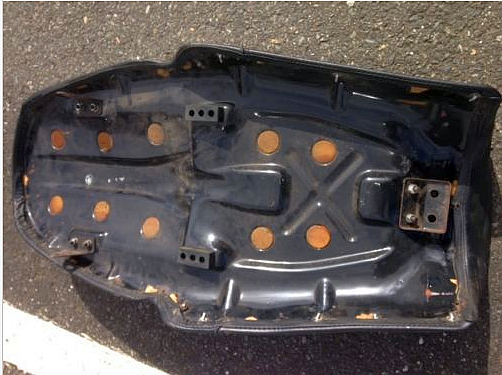 As stated, all 1976 LTD through 1977 seat pans are identical. To be more specific, all 1975 though 1979 seat pans are identical and can be used to rebuild a seat from any of those years. 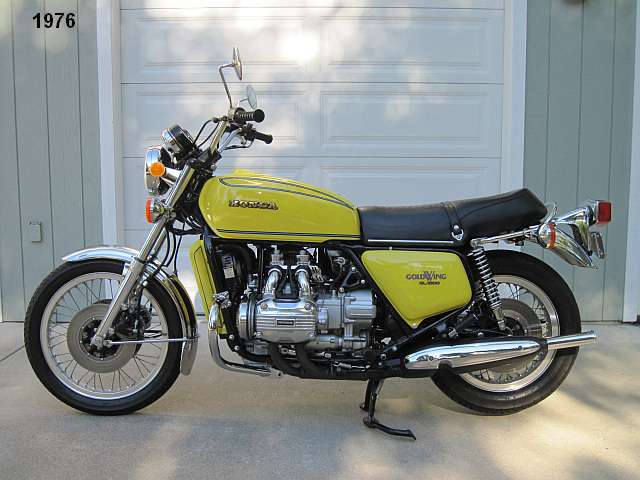 Any 1975 through 1979 seat will bolt on to, and fit, any 1975 through 1979 GoldWing. 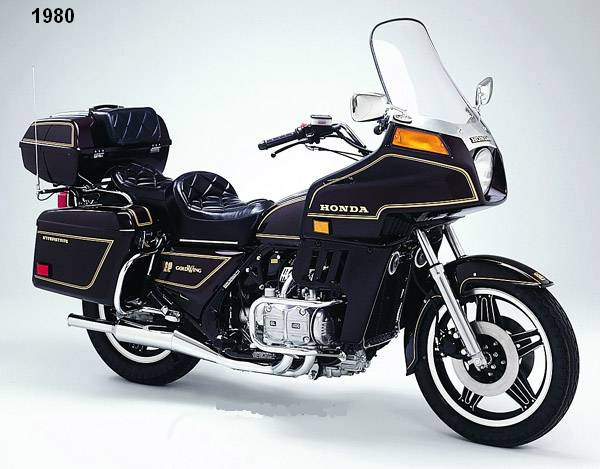 Occasionally, comments will surface that the LTD could be ordered from Honda with an optional brown seat. This is a complete myth and was started by a zealous eBay seller. 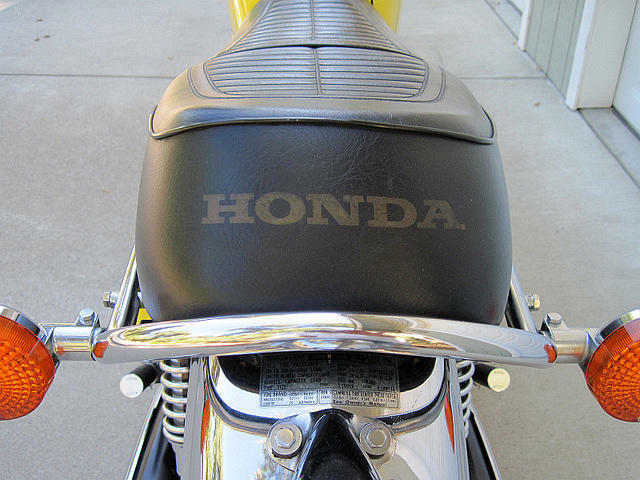 In 1976, Honda produced a brown seat that came stock on the blue 76 CB550F. 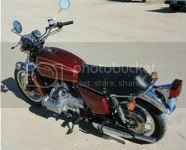 The seller claims that the CB seat and the LTD seat are one in the same and, as a result, could be ordered for a new LTD. 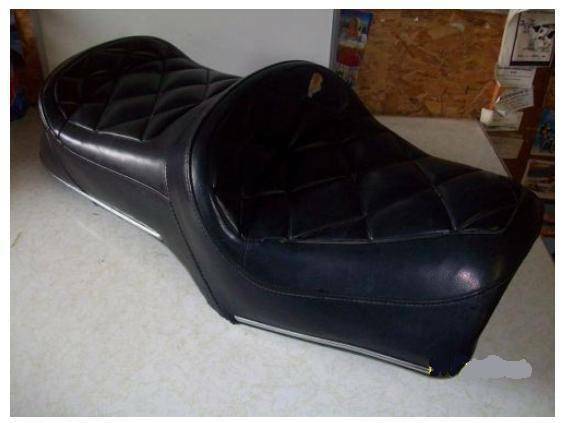 Although the CB seat is similar in design to the LTD seat, it is in no way identical even though the eBay seller states as much in their advertizing. 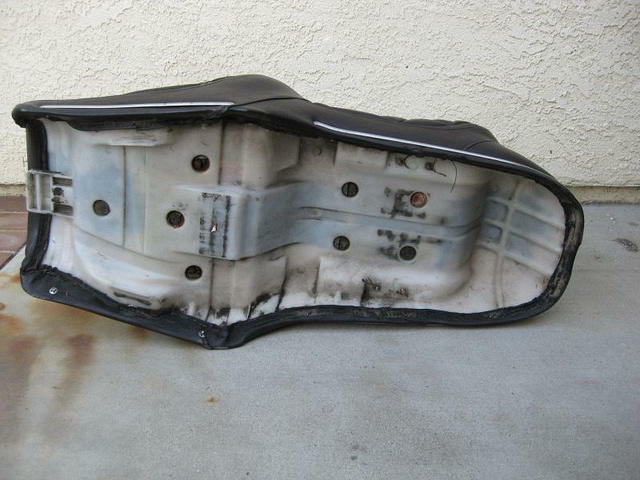 Oddly enough, this seller occasionally offers a CB550F seat for sale on his site. If one compares the two images that he supplies (below), it's obvious that the seats are of a totally different design. So, how can the existence of a brown LTD seat be explained? 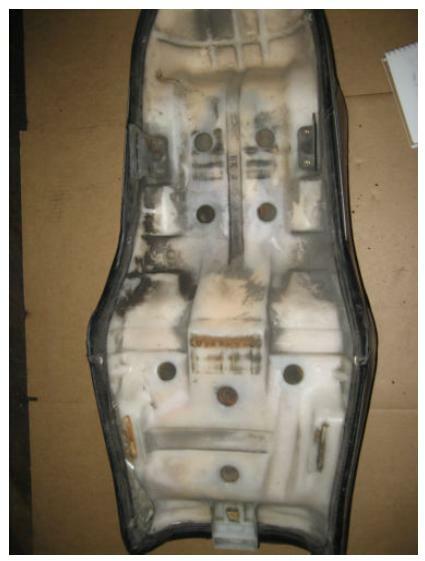 The only plausible explanation is that the seller is dying existing black LTD seats brown. And, if you have $1,200, you can own one. The 1978 and 1979 GL's shared the identical seat. There were no design changes between the seats during these two years. The part numbers were the same, the faux 'stitch' pattern, straps, buckles, trim and pans were identical and the only color they came in was black. Because they are virtually the same seat, there is no way to differentiate a 1978 from a 1979 seat. If you purchased a used 1978 seat and put in on your 1979, it would still be considered 'factory correct'. As stated, all 1978 and 1979 seat pans are identical. To be more specific, all 1975 though 1979 seat pans are identical and can be used to rebuild a seat from any of those years. 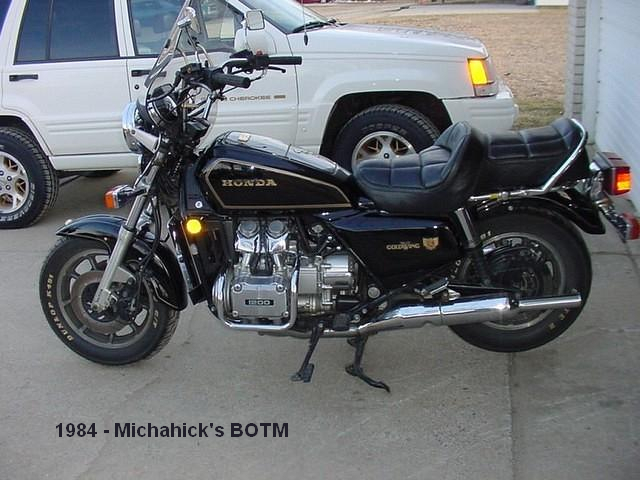 Any 1975 through 1979 seat will bolt on to, and fit, any 1975 through 1979 GoldWing. 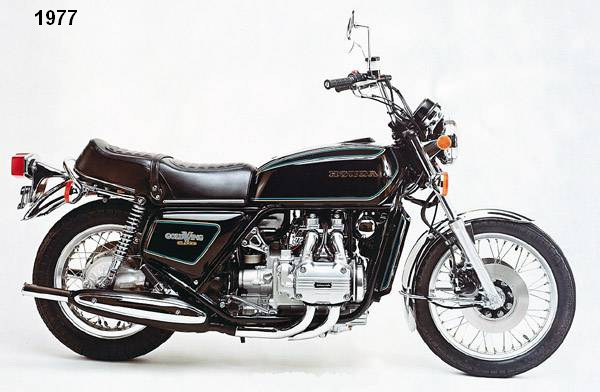 The 1980, 1981 and 1982 seats on the new GL1100's were a departure from the seats of the 1970's. The passenger straps were abandoned and the seat design went to a more 'two-up' style. 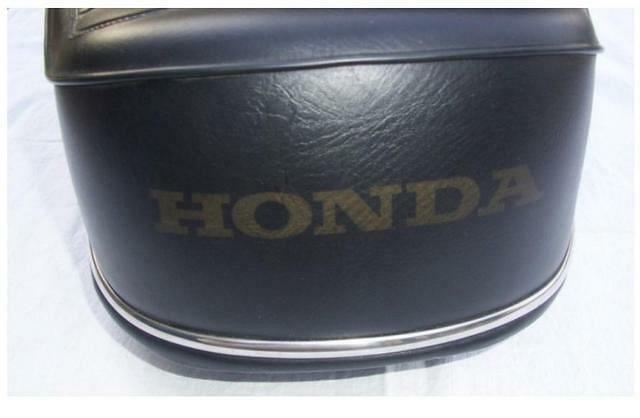 The construction of the seat pans went from metal to plastic and the gold HONDA logo on the rear of the seat was depressed into the material rather than printed on it's surface as was the case in all earlier years. Although the shape, stitch patterns and plastic pans were identical in design for these three years, there were differences between them. 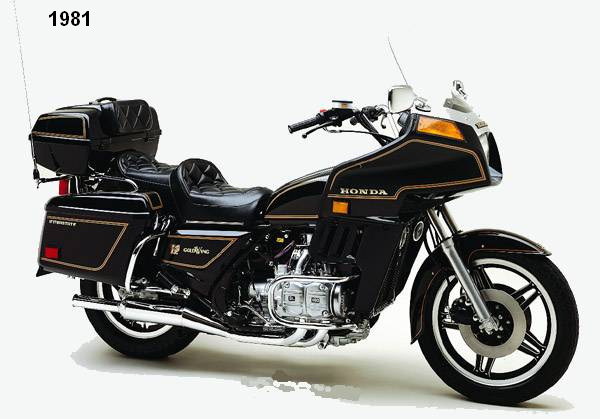 1980 was a banner year for the GoldWing as it was this year that Honda introduced their first factory dressed motorcycle, the Interstate. The seats on both the 1980 Standard and the newly introduced Interstate seats came only in black. 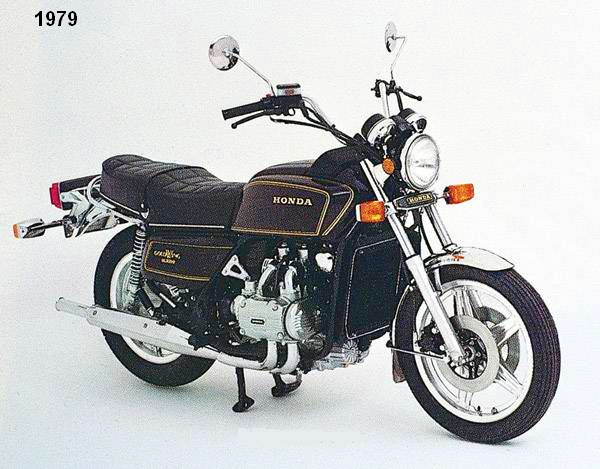 An added feature that year was a seat adjustment that gave the rider the ability to move the seat forward or backward up to 40mm to improve comfort. In 1981, The Standard and Interstate seats remained almost unchanged. 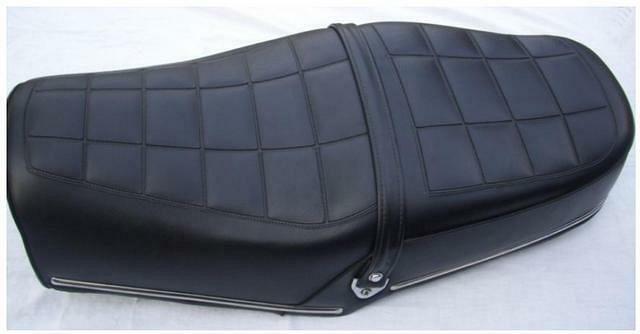 Same black color, design, stitch pattern and pan, but the seat underwent a very slight reshaping which lowered it's height. Also, the front to back seat adjustment was modified with a more convenient lever instead of the previous years 'stop and break out the Allen key' method. As of this writing, there are several seat options for your early GL. If you're going with anything other than 'factory correct', my personal favorite is a seat by Corbin. 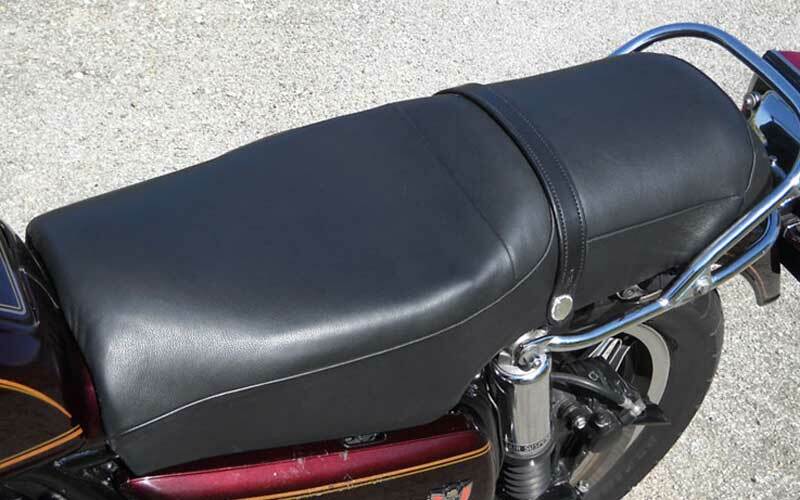 They make great looking, high quality seats for the 1975 through 1984 GL's and their Gunfighter is a real eye catcher when placed on a 1975 through 1977 model. Various styles are available so, visit their Web site for options. 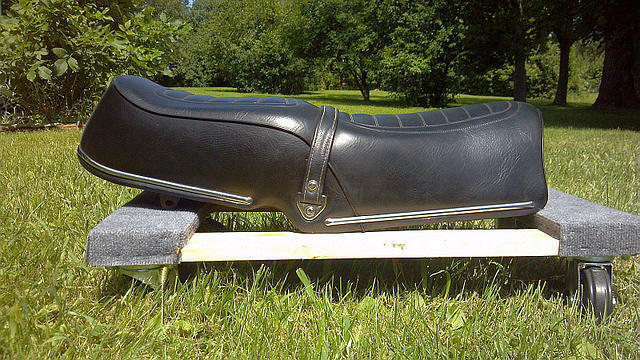 This is a high-end seat with a high-end price. 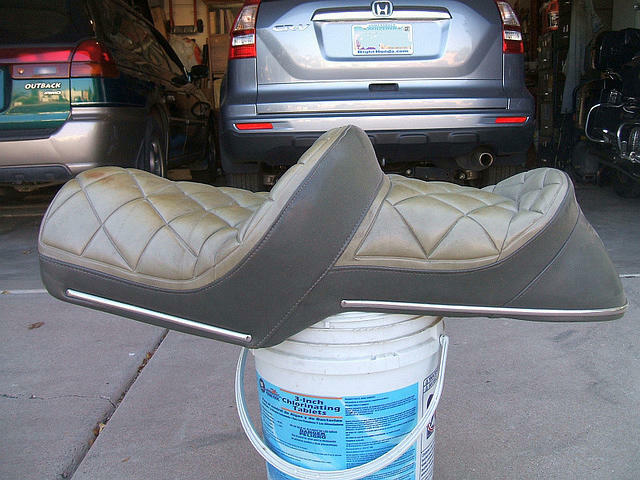 While new seats are no longer available from Honda, searching eBay on a regular basis will often reward you with an almost new 'Take off'. This term refers to the habit of dealers or new owners removing a new factory seat almost immediately after a GL was sold and replacing it with an aftermarket seat of the owners choice. 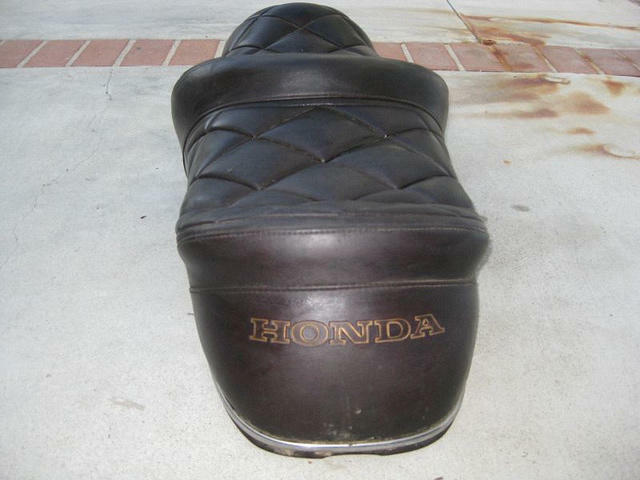 The original factory seat was then (hopefully) correctly stored for many years and later resold. Used seats of every imaginable condition are also available. 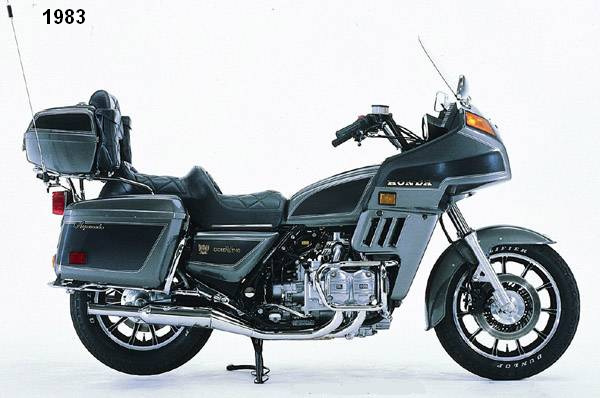 Try "GL1000 seat" in the search line of eBay and you'll have plenty to sift through. There are also some very respectable aftermarket versions being made by various manufacturers. Some, like David Silver Spares in the UK and CMS in the Netherlands carry complete seats. Here's an example of the seat offered by CMS. 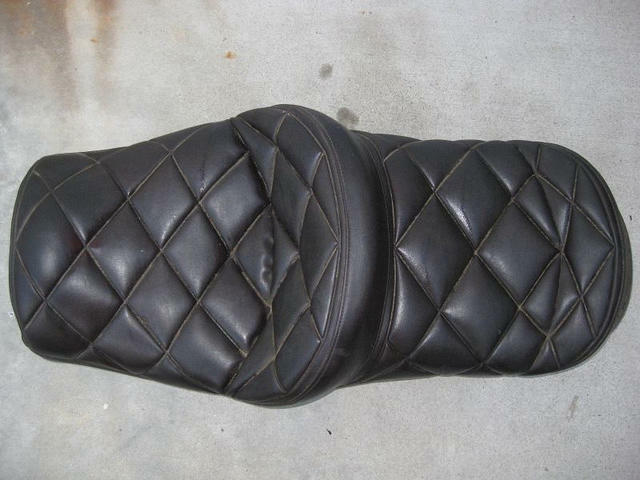 There are sellers on eBay that offer nice looking seat covers that closely resemble factory originals. Below is an example of an eBay cover placed on an existing pan and foam base. 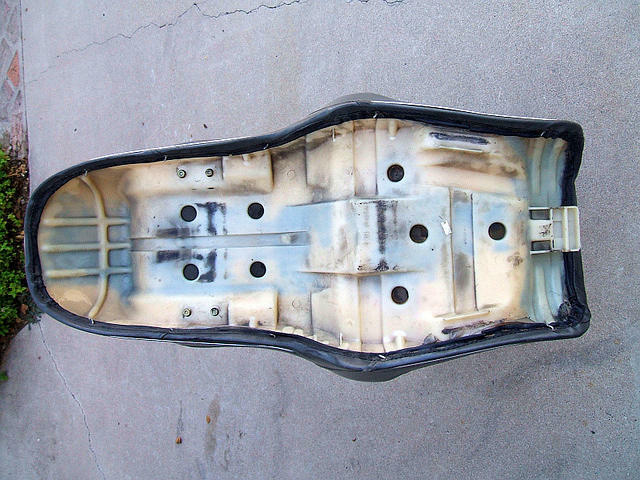 Also, searching eBay will produce sellers who offer repair parts for your existing seat e.g., reproduction seat straps, buckles and lower trim pieces. 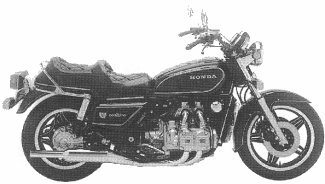 For the often missing pan parts i.e., the front and rear stays (or mounts) and the rubber bumpers, only the rubber bumper pads are (currently) available from Honda. 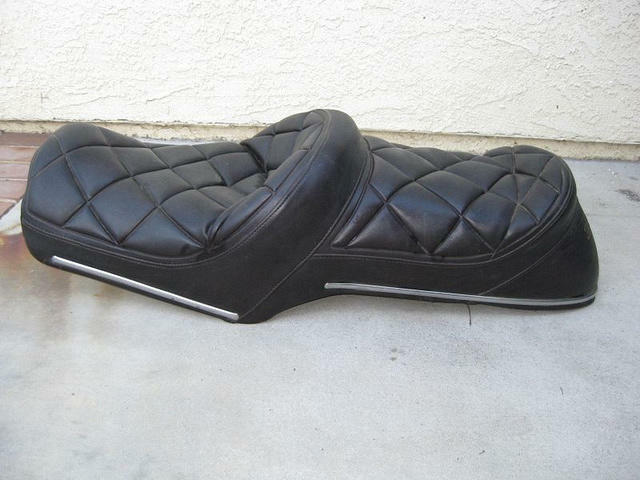 The front and rear stays must be found on eBay or via a generous club member. 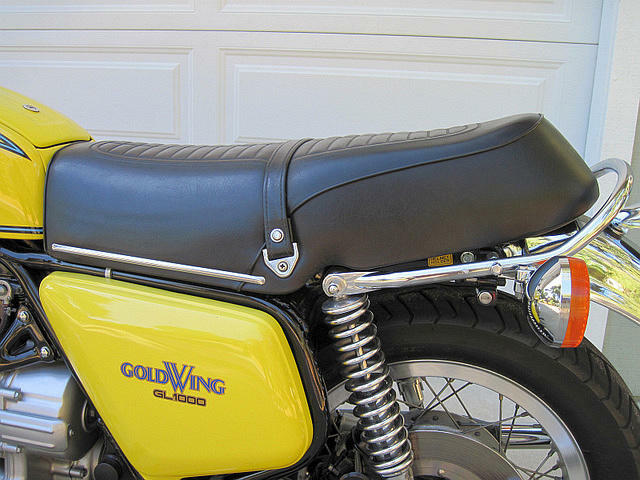 If a 'two-up' seat is more to your liking, the only seat of this style currently in production that will fit the 1975 through 1979 GoldWings is the Saddlemen Mod. XH148 pictured below. 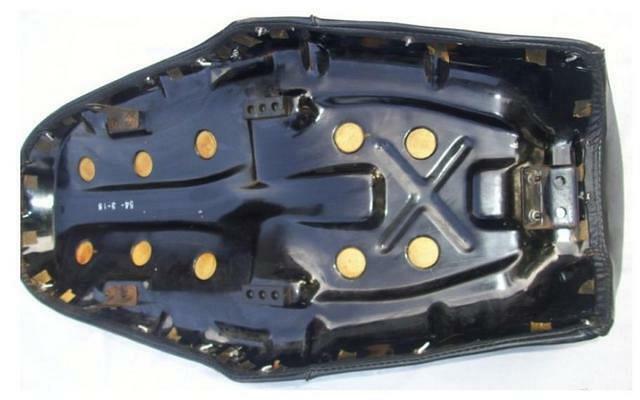 This seat comes as a kit that includes the cover and foam (already assembled) that the buyer must mount to their existing pan. 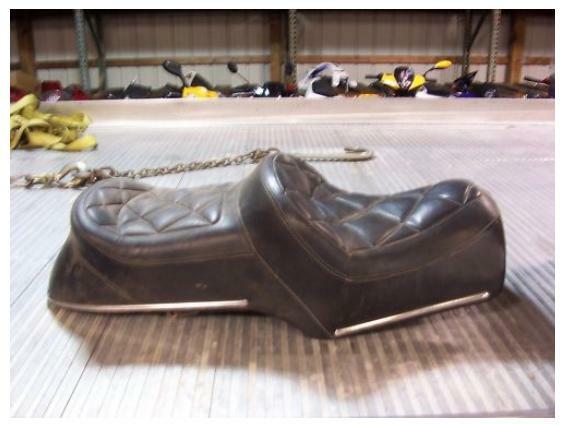 Other seats of this style can be found but, only in used condition or the rare NOS find. 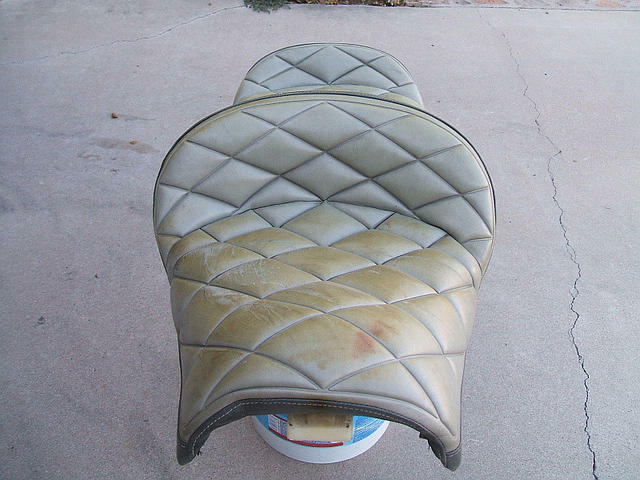 Last, but not least, is to use your existing pan or pick up a well worn seat off eBay or CL. 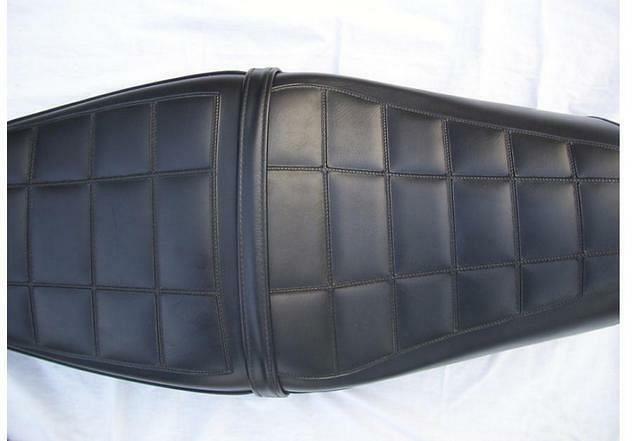 Then, using the compatible pan only, have an upholsterer create a new seat of your choosing. 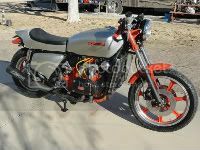 Here's a nice example of a stock 1983 seat that's been modified. 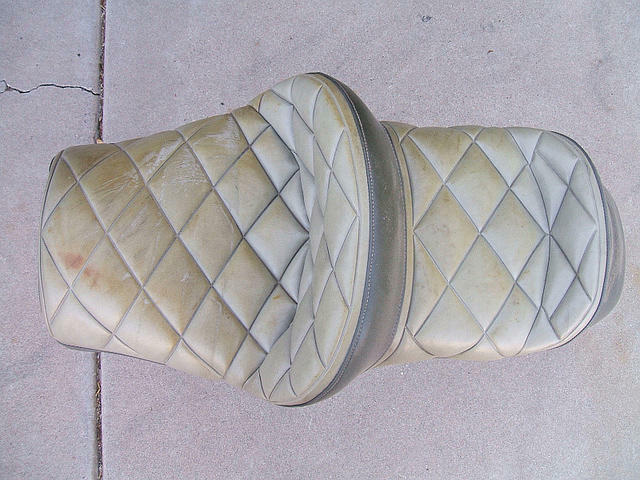 It had 5" removed from the rear, was reshaped and then reupholstered. Last edited by Placerville on Tue Apr 29, 2014 2:12 pm, edited 7 times in total. What can I say but WOW! 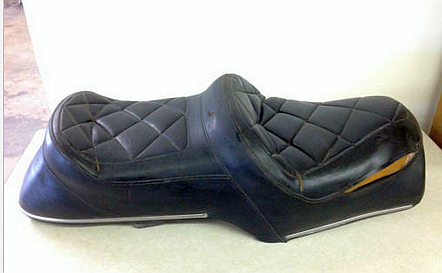 A great dissertation on GoldWing Seats, thanks so very much for sharing. Wow, Guy!! This is a breathtaking addition to our knowledge base. It's definitely going into ShopTalk. 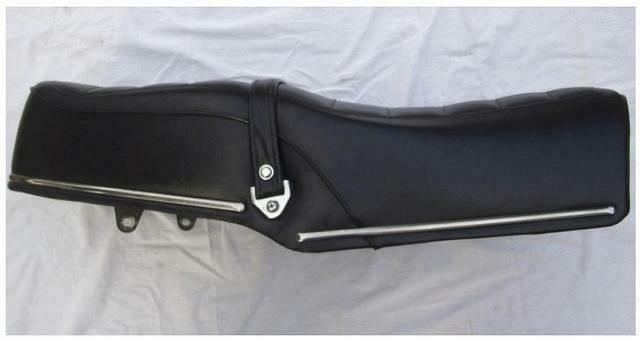 My 1981 custom ... standard pan ... foam trimmed by me ... leather cover is by a local Mennonite Saddler. This thread should be made as a sticky for easy reference. Nice work Guy, real nice. Shoptalk? Yes I think so. Excellent write up!....can someone move it to a reference section before it drowns here? 1977 GL1000 Black sorta resto project! Now in Florida working for a living Ugh!.....projects on hold mostly! Roady wrote: Wow, Guy!! This is a breathtaking addition to our knowledge base. It's definitely going into ShopTalk. ....and probably more comfortable than the 'slab' that's on my '76 . Thanks everyone for the kind words and "Thank You" to everyone who contributed with facts, photos and advice. 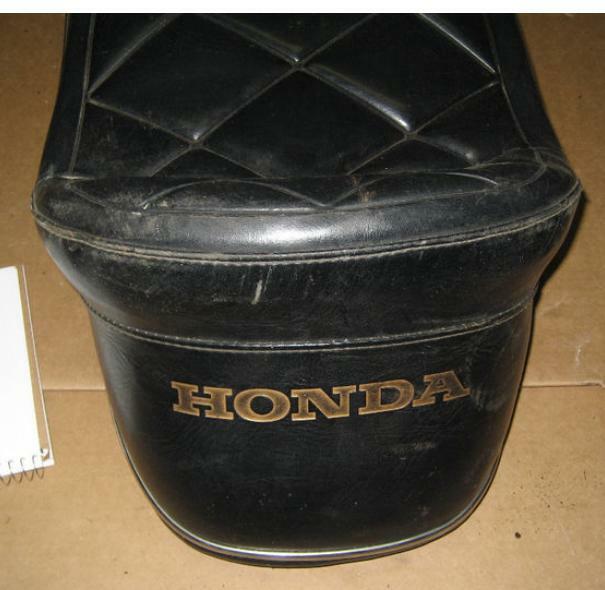 Both Red/Black Standards had "Black" seat covers with the "Gold" Honda logo embossed on the backside @ Michahick's Standard has a dresser seat on it from the looks of it . Last edited by calif wingnut on Mon Apr 21, 2014 11:39 pm, edited 4 times in total.